Ross Dawson is globally recognized as a leading futurist, entrepreneur, keynote speaker, strategy advisor, and bestselling author. Ross has been named as one of the top 30 most influential people in the world in crowdfunding, one of the top 6 most influential people in the world in Enterprise 2.0, and by Digital Media magazine as one of the 40 biggest players in Australia’s digital age. He is Founding Chairman of four companies: international consulting and ventures firm Advanced Human Technologies, futures think-tank Future Exploration Network, leading events company The Insight Exchange, and online start-up Repyoot. He is author of the Amazon.com bestseller Developing Knowledge-Based Client Relationships, now out in its second edition, the acclaimed book Living Networks, which foresaw the social networking revolution, and the highly successful Implementing Enterprise 2.0. He also writes the highly influential Trends in the Living Networks blog, has written White Papers for organizations including SAP and Microsoft, and has published over 100 articles in leading publications worldwide. Ross’s frequent media appearances include CNN, Bloomberg TV, SkyNews, European Business Network, Channel News Asia, ABC TV, Today and Sunrise shows, New York Times, The Guardian and many others. Ross has run executive education programs and lectured at numerous academic institutions around the world, including the University of Virginia, Australian Graduate School of Management, Singapore Institute of Management and the Institute of Banking and Finance. 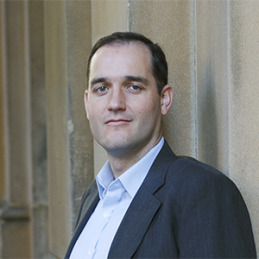 Previously Ross worked in senior positions in London, Tokyo and Sydney with organizations including Merrill Lynch, NCR and most recently Thomson Financial as Global Director – Capital Markets. He holds a B.Sc (Hons) from Bristol University and a Grad.Dip in Applied Finance from Macquarie University, and is certified as a Master Practitioner of Neuro-Linguistic Programming (NLP). He has extensive international business experience, and speaks five languages.